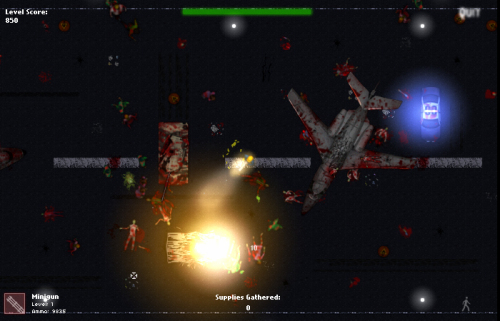 Description Try to escape a city that is infested with flesh eating zombies. Find new weapons, upgrade them and kill hundreds of zombies in 10 levels and 3 challenge levels. Reach EXIT in each level. You have to break crates and collect supplies to upgrade weapons. You can upgrade your weapons before starting a new level.